The third and final installment of Cathedral Oceans takes the familiar elements of organic beauty and floating ambience to new heights – and depths. Foxx's gregorian-like chanting and ethereal harmonies don't appear on every track, and despite the album's warm opening, the music is a lot darker. Cathedral Oceans III is another enchanting album of mystery, beauty and atmosphere. This is probably the most established of the Cathedral Oceans trilogy, rich in emotion and organic textures, with a very natural feel. 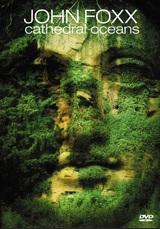 In tracks such as “Oceanic”, “Fog Structures” and “City of Endless Stairways”, you can almost smell the damp stonework of a crumbling cathedral, half submerged in calm waters, surrounded with colourful aquatic plant life. The music itself becomes very visual with smart contrasts of cool darkness and warm sunlight. 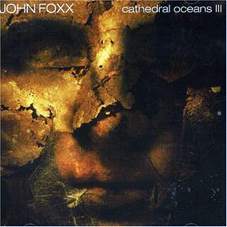 Above anything else, perhaps Cathedral Oceans III does the job Foxx set out to do with this concept in the very beginning. The submerged, resonant melodies of Cathedral Oceans make up a trio of distinctive, ambient albums, and this culminates with Cathedral Oceans III. Foxx may have swum to the shore for now, but in 2006 a DVD version of the album was released, featuring the music playing against a constantly evolving flow of fascinating imagery. Foxx also launched an official Cathedral Oceans website.